PALFINGER NED-DECK manufactures Launch and Recovery Systems (LARS) such as davits and cranes for life saving purposes, daughter crafts, work boats, fast interceptors and fenders. 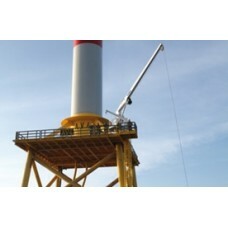 PALFINGER NED-DECK offers innovative, compact, high quality and safe launch and recovery systems, whereby an ideal balance is achieved between safety factors and economical factors without jeopardizing aspects such as quality and user-friendliness. The Launch and Recovery Systems are designed for long-time operation under especially tough conditions in a highly corrosive marine environment. Easy installation and operation combined with considerable economical aspects make PALFINGER NED-DECK launch and recovery systems a safe and reliable choice.